Last night I got a little restless and felt like creating something that had nothing to do with work or clients. So, I sat down and checked my messages over at deviantArt and read a message there about an Earth Day contest dA was hosting. I decided to see what I could come up with on short notice. 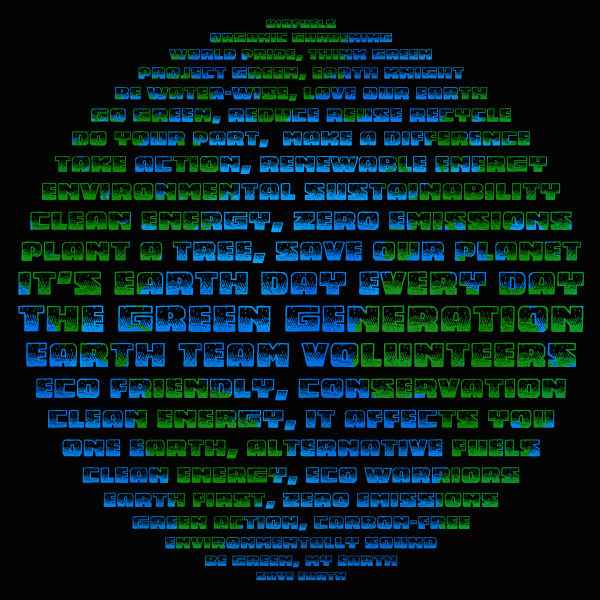 Six hours later I had Earth Day Buzz, a text art globe of the Earth using many of the buzz words or slogans from Earth Day. 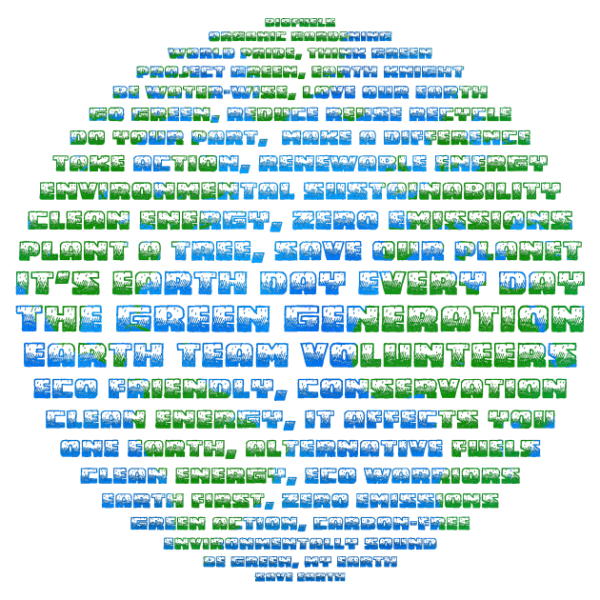 I have also uploaded it to my Zazzle.com gallery, after speaking to the contest holder to make sure it was OK, and have shirts and other products available with the Earth Day Buzz globe on them. If you are shopping for an Earth Day shirt or poster, please stop and check it out. I am thinking of doing a wallpaper for download as well, though it will be a bit more than just the globe. Please leave a comment and let me know what you think. Go to Earth Day Buzz or Earth Day Buzz in white and click on the image if you wish to see a larger version or download the full sized image (2644 x2500) by clicking download. Earth Day Buzz by Tommy Reynolds is licensed under a Creative Commons Attribution 3.0 United States License. Mandala Michelle thanks for taking a look, glad you like it :) I ended up giving this a flexible copyright due to it being for Earth Day I felt it was my way to share. Great image - thanks for sharing it. Liana thanks for checking it out.